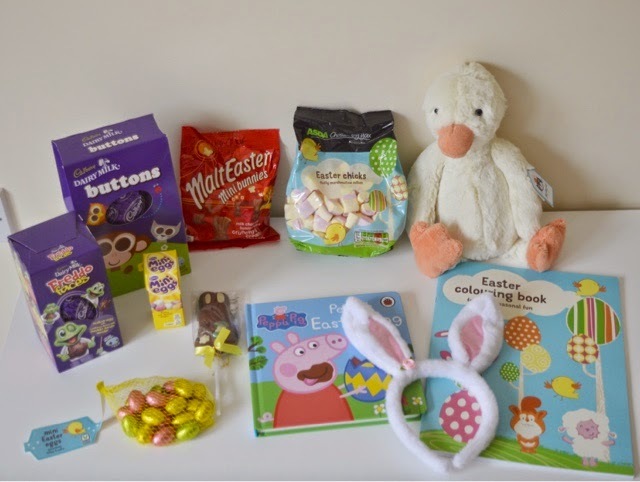 As Easter is less than 3 weeks away, I thought I would share what's in Sophie's Easter basket. I love the idea of different themed baskets. You can do them for just about anything and they make great gifts too. I really enjoy buying everything and watching them all come together. You can't have Easter without chocolate, can you?! I picked up a couple of small Easter eggs from Asda which were about £1 each. I also picked up the MaltEaster bunnies and a small pack of mini eggs while I was there too. The chocolate bunny stick was £1 from the Card Factory and the pack of Mini chocolate eggs were £1 from Tesco. I thought these were really cute and they were only £1 from Asda. Sophie loves Peppa Pig (and books) so I ordered this board book from eBay. You can find it here. She will love it and it's perfect for Easter! I love this cute little duckling! It's so soft and Sophie can add it to her Jellycat collection.. You can find it here. I picked these up from Asda for 75p and I'm sure Sophie will love them! 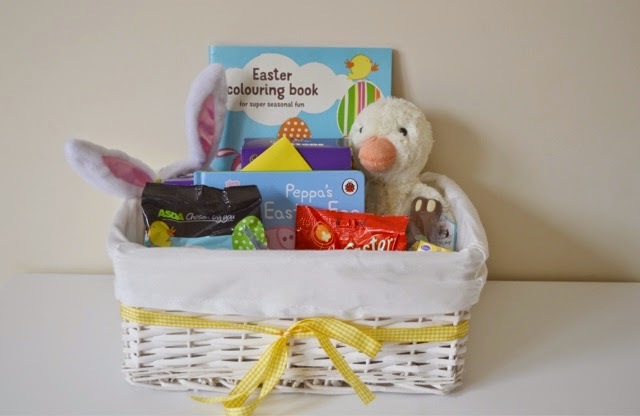 I saw this (again from Asda) and thought it was ideal for her Easter basket and it wasn't expensive either. So what do you think? Are you making an Easter Basket this year?